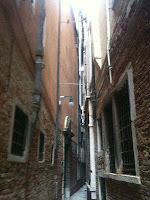 —Narrow Walkway, photo by Susan Kerr. in green, green grass and wish for nothing more. romance and all things lovely. I’ll revel in my dimples. sun kiss us all over and over and over again. Copyright © 2010 by Susan Kerr. 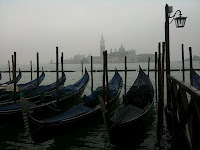 —Classic Gondola shot, photo by Susan Kerr. 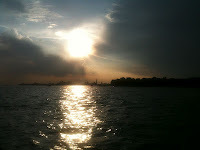 —Incredible Venice 1, photo by Susan Kerr. Susan Kerr is a poet, artist, and entrepreneur living in Old Town Alexandria with frequent visits to Venice, Italy. Her work has appeared in her small collection of poetry called Little Ones as well as at OpenView Labs book called What Really Matters: A Guide to Defining and Realizing Your Company Aspirations with an introduction by Tony Hsieh. I will fly, I will fly! when I am a nun and a witch. Copyright � 2012 by Samantha Magrath. Samantha Magrath is a poet living in Takoma Park, MD. Her work has appeared in literary journals including Antietam, Bogg, Chiron Review, Connecticut River Review, and The Cape Rock.